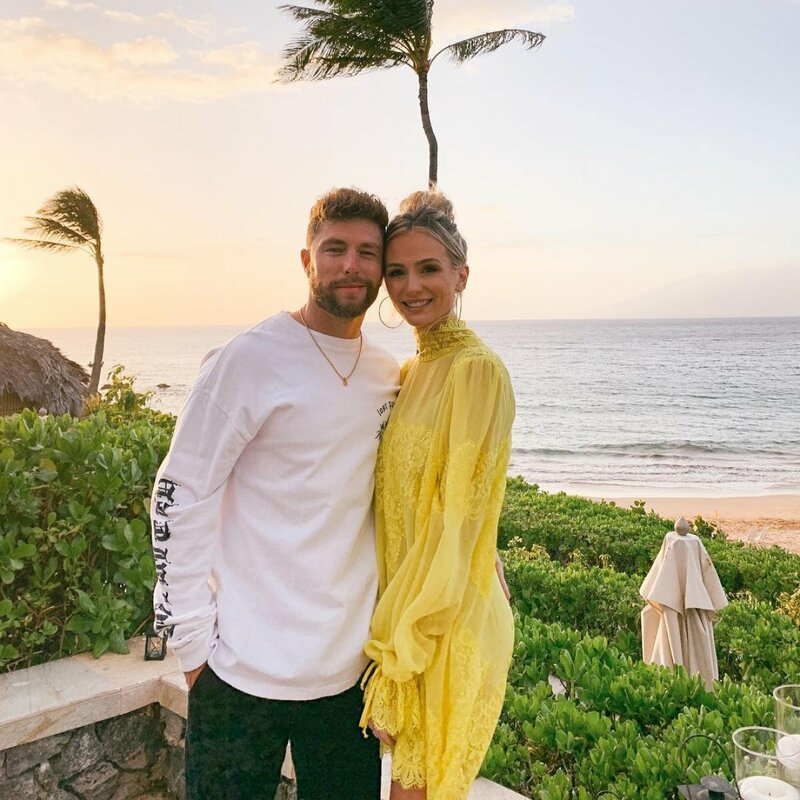 The Bachelor alum Lauren Bushnell has officially moved to Nashville, TN, and is sharing a place with her boyfriend Chris Lane. Lauren and the country music singer have taken their relationship to the next level, as the Season 20 The Bachelor winner decided to leave her life in Los Angeles, CA, behind to pursue things with Chris. "Lauren moving to Nashville has been the best thing for our relationship. It's been such an easy transition and she makes each day even better," Chris told People. "There is nothing like waking up next to the person I love, going about my day -- working out and working on music -- and then coming back home to her! I'm a lucky guy." Lauren's decision removes the complication of a long-distance relationship from the couple's life together. Chris, 34, told Entertainment Tonight in February that Lauren was moving to his city. And then on March 6, Lauren revealed she was in the process of unpacking her belongings in Nashville. She shared a selfie of the couple at the time while attending a hockey game at Nashville's Bridgestone Arena, saying she was taking a much-needed break from moving. "My roommate is kinda cute?!" Lauren captioned the image. Lauren then reportedly shared a series of photos of her new shared place with Chris via Instagram Stories. Lauren and Chris' pad boasts white and light gray furniture with gold accents, floor-to-ceiling windows with a beautiful view of the city, a large walk-in closet in the bedroom, and a trendy clear coffee table in the living room, according to People. "Every single day I feel blessed because of this man. This view will never get old," Lauren recently shared a photo of Chris playing his guitar on a round pouf. Prior to getting romantically involved with Chris around November 2018, Lauren had been engaged to Season 20 The Bachelor star Ben Higgins and also dated a man whom she had met on Tinder, Devin Antin. Lauren and Ben got engaged on The Bachelor's finale in early 2016, but after about a year together and a Happily Ever After? spin off on Freeform, the pair split in May 2017. After Lauren moved out of Ben's home in Denver, CO, and headed back to California, she began dating Devin. Lauren and Devin reportedly split in August 2018, and then Lauren got involved with Chris about three months later. Lauren and Chris had been friends for years but connected in a romantic way at one of his concerts.